Simple MIDI input and output. RoSH compliant and lead free. Double sided PCB with ground plane for noise immunity. Designed to work with all micro-controller development boards. Technical support – email tripplikit@chrispidd.com. Make your own musical input device such as a percussion controller. Make a real time MIDI processing device such as an arpeggiator. Control lights or other visual effects from a sequencer. Even make your own electronic musical instrument. 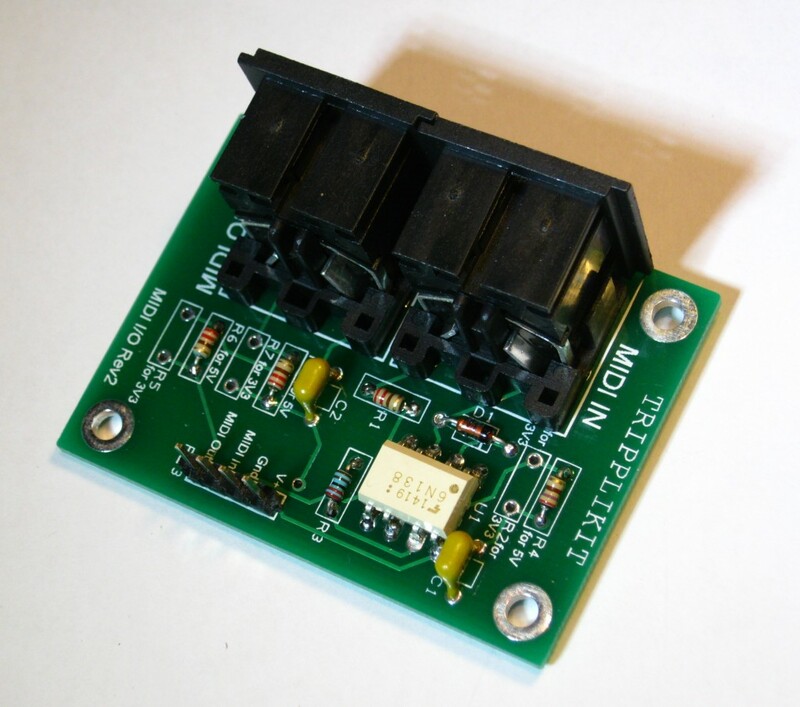 The Tripplikit MIDI I/O is designed to provide a MIDI input and a MIDI output with the maximum of simplicity having just four connections to your micro-controller board. The Tripplikit MIDI I/O is available in 5V and 3V3 versions. It is also available as a kit which can be built to support either supply voltage. Buy from: ebay or amazon.